The back is a complicated structure. It is made up of bones, joints, ligaments, and muscles. You can sprain ligaments, strain muscles, rupture or herniate discs, and irritate joints, all of which can lead to back pain. While injuries and accidents are a major cause of back pain, it can also originate or be complicated by arthritis, poor posture, obesity, and stress. Chiropractic spinal manipulation (adjustment) is a safe and effective spine pain treatment. We utilize adjustments with adjunctive therapies such as electrical muscle stimulation, heat therapy, massage, and myofascial release in a treatment plan customized to the individual patient. 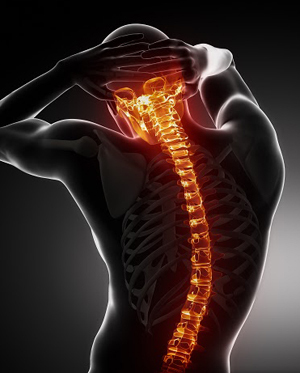 Injuries and accidents are the most talked about causes of neck pain. • Growing older: Osteoarthritis, degenerative disc disease, and stenosis are common conditions that directly affect the spine, leading to neck, shoulder, arm pain and numbness. • Daily Life: Poor posture, weak abdominal muscles, and obesity can cause the neck to bend forward in compensation. • Stress and emotional tension can cause muscles to tighten, contributing to chronic neck pain with symptoms extending into the upper back and arms. • The cause of your pain has to be established, after which a plan of treatment is designed for each individual patient. Whiplash is a term applied to injuries of the neck caused when the neck is suddenly and/or violently jolted in one direction and then another, creating a whip-like movement. It is most commonly seen in people involved in motor vehicle accidents, but it can also occur from falls, sports injuries, or work injuries. Symptoms commonly seen are pain and stiffness in the upper neck, just below the skull. Other symptoms include pain in the front and back of the neck, headaches (especially at the base of the skull). Turning the head often makes the pain and discomfort worse. In addition, the pain and stiffness may extend down into the shoulders and arms, upper back, and even the upper chest. The appropriate chiropractic treatment for each whiplash injury has to be specifically designed for the individual involved. 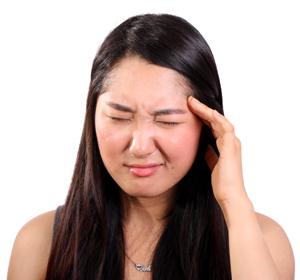 The majority of headaches are two types, tension headaches (also called cervicogenic headaches) and migraine headaches. Research shows that spinal manipulation (adjustments) are an effective treatment option for tension headaches and headaches that originate in the neck. Several clinical trials also validate chiropractic care for migraine headaches. In one study of people with migraines performed at the University of Maryland Medical Center, 90% of those receiving chiropractic care reported a reduction of attacks and 49% reported a significant reduction of the intensity of each migraine.